LAST night we published a caricature about Heiko Maas, whom many inside the EPO accuse of turning a blind eye to the abuses (if no crimes, as per national laws) of Team Battistelli. The growing sentiment against Maas (or mass) inaction can be seen across many spectra, including outside the EPO. Battistelli feels as though he is above the law partly thanks to apathy from Maas et al (deafening silence in spite of many letters and copies of letters). We too have had such issues and we wrote about the subject several times in the past. Even my defense (from personal attacks) was censored at one point, unlike these attacks. Perhaps the suspicion here is that the silence regarding the EPO — a silence in the German media as well (as we last noted a few days ago) — is part of a broader conspiracy of silence. It’s convenient for Germany not to criticise the EPO because it’s a local cash cow, milked at the expense of the rest of Europe. 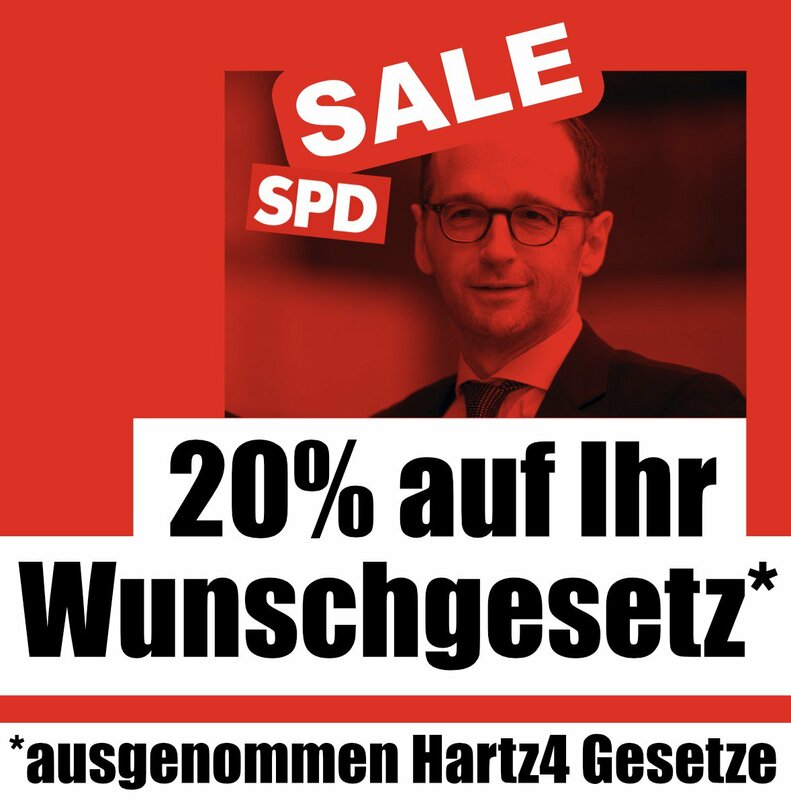 “One of the SPD Ministers whose name got mentioned in connection with this affair was the Justice Minister, Heiko Maas,” our source says. 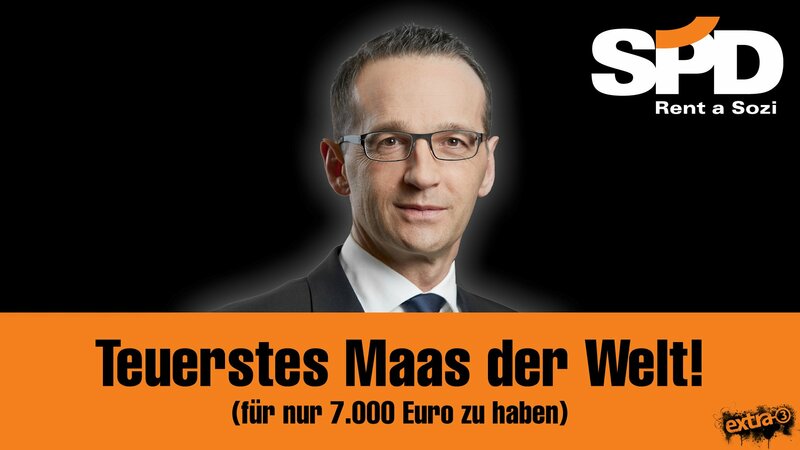 “Some satirical postings have also appeared on the Internet poking fun at Maas and his connection to the “cash for access” affair as reported in the media.” We include them at the top and to the right as it’s probably Fair Use (“criticism”). IP Kat was at one point censored by the EPO, so maybe it’s just afraid of particular kinds of comments showing up from now on? That would be an example of self-censorship owing to bullying by the EPO. They tried to do this to me.